Perhaps on another day, the writer’s link with a blogging challenge for the month of April would not have caught my attention, but on that particular morning it did. With nothing more than a quick glance at the rules of the game, I registered. Fast forward two months, and what seemed like a great idea back in February has me feeling a bit like an April fool today. Still, I’m already in, linked up, and set to go. Besides, whenever I’m in, I’m all in. My mission for the month: Blog through all 26 letters of the alphabet. Just in case you’ve forgotten a certain little poem often taught in elementary school, April is only a 30-day month. Even the slowest of math pupils would understand that 26/30 means a lot of posting in April! Quite frankly, my track record for blogging is not that good. I’ve had this blog for about a year now, and have managed only 16 posts or so during that time. Statistically, I’m not even blogging twice a month. Generally, I try not to feel guilty about my lack of consistency in keeping up with my blog. After all, as the mother of five, all teens or tweens, it’s not as if I’m sitting around, twiddling my thumbs, and eating bonbons all day. Why did I ever think I could manage publishing 26 times on my blog during a one month period? Yet, as the weeks went by and I thought about the actual process, I began to feel nervous about exactly how this challenge would play itself out. Many writers taking the challenge blog through the alphabet with a theme in mind, which seemed like a great idea to me. Several times I tried to come up with a theme: homeschooling ideas, Bible verses, godly thoughts, favorite books to read with children, etc. Each time I would get excited about the theme possibilities … and then panic would set in. Oh, no! What will I write about for Q or X? What if I run out of ideas? With the focus of succeeding in this challenge centered on me and my abilities, I knew I was setting myself up for failure. Something had to change. Or rather, there was something that I didn’t need to change. I needed to stay true to who I am as a writer. The one big thing that is consistently true about my writing is that I write for God. He’s the boss and I work for Him. In our writing relationship, He always gets to pick the topic. My job is to pretty much just write whatever He tells me to write. And since He mostly gives me insights about Himself through the ordinary (and sometimes not-so-ordinary) experiences in my life, I try not to complain. It’s actually a really great deal, and I love my job … though it might be nice if there started be an occasional payday involved. I have come around to understanding that there won’t be a theme for my blog during in the A to Z Challenge. At least, that is, there won’t be a theme chosen by me. And so far, if God has picked a theme, He hasn’t let me in on it yet. He did, however, stay faithful to His part of the bargain, and give me the idea as well as the words to write in this initial post. 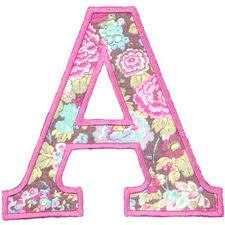 That’s why A is for Aspiring to blog through the Alphabet in April. Stay tuned for B. At this point, even I have no idea what God might want me to blog about tomorrow. I found you. Glad you have made a start. I do hope you will be able to manage the rest. I had great fun reading your post, and given the humorous tone, I look forward to more reading ahead. And, hey, I really like the name of your blog. Thanks, Silvia, for your comment! I love the name of my blog, too. Perhaps during this challenge, I will share how it got the title. 🙂 I’ve enjoyed reading your blog as well. Looking forward to lots of blogging in April!